You Spent How Much On A Comic? I love comics. I really do. I have way more put away in storage than I can fit into my house. But I would never pay this much for a comic. I don’t care if it’s Detective Comics #27. I don’t care if it’s Action Comics #1. What drives people to spend over a million dollars on a book that sold for 10 cents back in the day? It’s not because they want to read the story. These things are locked away in air tight containers. They might as well be frozen in carbonite. And if they did want to read the story, you can find reprints for less than $10 on ebay. And even that’s paying too much. If you go hunting in the bargain bins you could easily get a reprint for under a dollar. What is it about people that it’s okay to spend 1 Million Dollars on what is, at best, a conversation starter? Could that money have been spent on something more worth while? 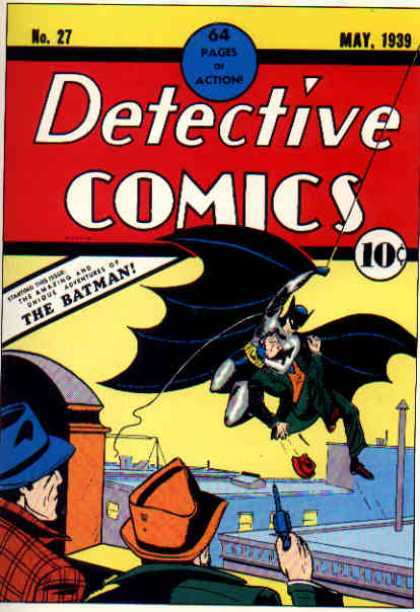 Would I happily accept an original copy of Detective Comic #27 to hang on my wall? To have it decorate my house instead of cashing in and spending the money on mission or the poor? Well now my sinful self steps in. I can’t answer that question quickly or confidently. I will never have this comic. Yet the hypothetical question has me feeling uneasy. Am I a slave to possessions? You may not be a comic book geek like I am. But I bet there’s something out there that would have you hesitant to answer quickly. A piece of sporting memorabilia. A gold record by your favourite band. A prop straight from the set of the movie or TV show you spend all your time thinking about. That one piece of art that you wish was hanging in your home and not in an art gallery. Not all idols are physical things. Some of them live solely in your head. Some of them are dreams of things that may never happen. But if something is getting in the way of following God, then it’s an idol. Are you aware of what your idols are? Because it’s better to find out what they are now and avoid them, than to find out later when it’s too late. I’m pretty sure I’d pay a lot for a copy of Amazing Fantasy 15. I think if its a character you really like you might be willing to shell out big bucks for their first appearance. Say you had a copy of Amazing Fantasy 15 (First appearance of Spider-Man, just in case I have to justify my geek cred). What would you do with it? Any Spider-Man fan worth his salt would have read the original Lee/Ditko story. So it’s not for reading. Hide it in a safe somewhere?